From Polaroid to disposable, digital to film, photography has always been a stunning way to capture life’s best moments. In the 21st century, moving beyond photo albums and mom’s scrapbooks, the photo-sharing platform, Instagram, has become one of the most popular ways to store and share pictures. However, while consumers have flocked to the platform, brands have been much slower to adopt Instagram. For brands working toward a presence on the channels where consumers engage most, it’s clear that Instagram should be part of their social strategy. Instagram has a definitive understanding of what its users enjoy most, and, in 2014, brands on Instagram experienced an average of 278 percent growth in followers. •	Retail Brands: As an industry whose products and sales rely heavily on aesthetic appeal, retail brands can use Instagram’s many photo-editing tools (filters, cropping, etc.) to elevate the visual appeal of their products. Cosmetics and apparel brands, whose products directly enhance a user’s physical appearance, could particularly strengthen their social media strategies by incorporating Instagram into their strategy, a channel that totes ‘visual’ as its biggest strength. 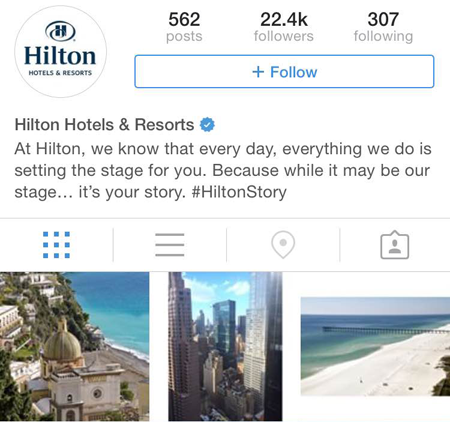 •	Hotel Brands: Hotel brands can use Instagram to highlight their venues’ most exciting and attractive accommodations, appealing to potential guests by developing a profile that emphasizes an intended type of experience. Hotel brands can also use Instagram to feature the environment (natural beauty, urban excitement, local events) of where their guests will be staying. By sharing environmental and accommodation images, hotel brands can help consumers imagine the experience they’ll receive. •	Restaurant Brands: Our eyes are often bigger than our stomachs, and Instagram can help restaurants capitalize on a wide range of consumer cravings. Using well-timed photo sharing tactics, restaurant brands can tantalize user’s taste buds and push them to indulge with purchases. Also, because photos from professional-grade cameras can be uploaded to the platform, restaurants can truly showcase just how good their food looks. Instagram has a number of unique marketing tools and strategies—Instameets, video ads, global networks—that make it the perfect fit for brands. In particular, Instagram’s new carousel ads will help brands, no matter the industry, connect consumers with exciting purchasing options. These ads, much like a carousel, circle through sequentially branded photo streams that tell branded stories. Following larger industry endeavors of structuring big data to tell big stories, carousel ads offer users with compelling, meaningful content that captures the power of a multi-page print ad on a mobile device. The stream of images will lead to clickable URLs, encouraging users to immediately engage with the pictures and purchase the product that they like most. Some brands have already started utilizing Instagram, and those not yet on the platform are missing out on opportunities to replicate, and compete with how competitors are reaching consumers. While channels, such as Facebook and Twitter, are the bread-and-butter of social marketing strategies, Instagram has yet to achieve a similar reception. However, for brands hoping to increase consumer engagement, a well-rounded social presence is key. This presence should include Instagram. •	Capitalize on Personality: Creating a hashtag specific to the brand is a great way to build a community of followers who can track and interact with one another. This shared solidarity around a product allows customers to find added value in the brand. For example, Nike, Instagram’s most popular brand, has used #nike to develop a global community of like-minded runners. 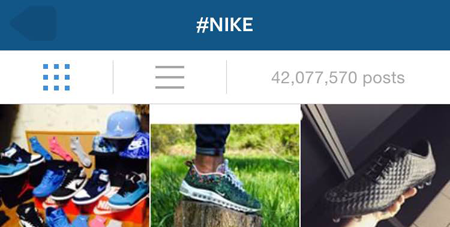 Using Instagram’s marketing tools, Nike experienced an audience lift to more than 12 million followers. The footwear manufacturing company has also found great success by allowing its followers to tell the brand’s story. Users post pictures of Nike products in context—on runs—linking the brand with its real-world applications. This user-centric story is often more powerful than any a brand could create. •	Stay true to your brand: Rather that adapting to the platform itself, Instagram allows brands to create a presence that is unique to particular branding. Levi’s, for example, focused on well-crafted photos to underscore the high-quality of its jeans (read the case study here). Similarly, Ben & Jerry’s found success by posting exciting, whimsical pictures to mirror the brand’s own fun personality. 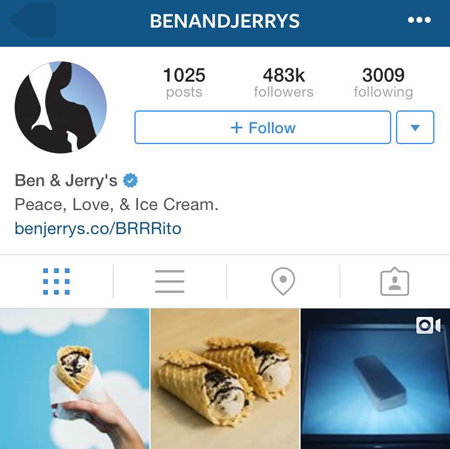 Through Instagram, Levi’s reached 7.4 million U.S. people and Ben and Jerry’s saw a 33-point increase in ad recall. •	Host giveaways and contests: Although simple, giveaways and contests are a practical way to excite and reward loyal followers. For large-scale brands, these smaller moments are also great for connecting more personally with individual consumers. Just as other aspects of a marketing campaign further a brand’s goals, social media should be a responsive asset to any multi-channel strategy. Instagram provides brands with a deeply personalized means of tackling 21st century marketing trends. As user and engagement rates increase, brands will have more and more reasons to establish an Instagram presence. When a picture could be worth much more than a thousand words, the number of brands on Instagram is likely to increase exponentially, and fast. Bob Sybydlo is the Director of Market Intelligence and Deliverability at Yesmail. He is a proven leader of a successful multi-faceted team within a multi-channel industry and environment, which spans marketing, client services, business development, social media (integration and strategy), international business development, ISP Acceptable Use Policy, and program/product/service optimization.